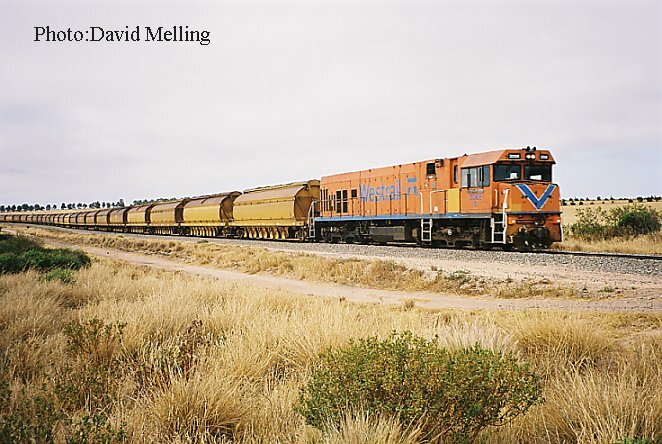 Here are some recent photo's of trains in the Geraldton area. 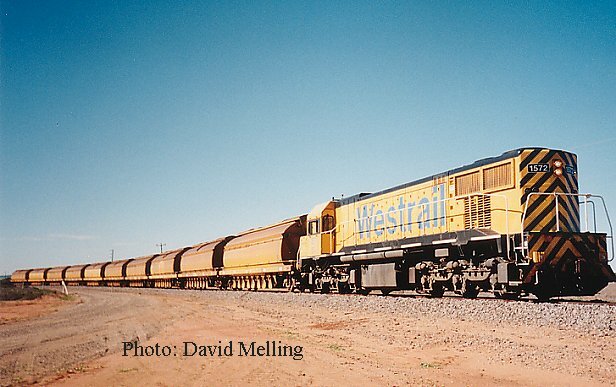 P2006 hauls an empty coal train (along with a number of empty grain wagons) southwards back to Perth (location just north of Dongara) on 7 December 2002. 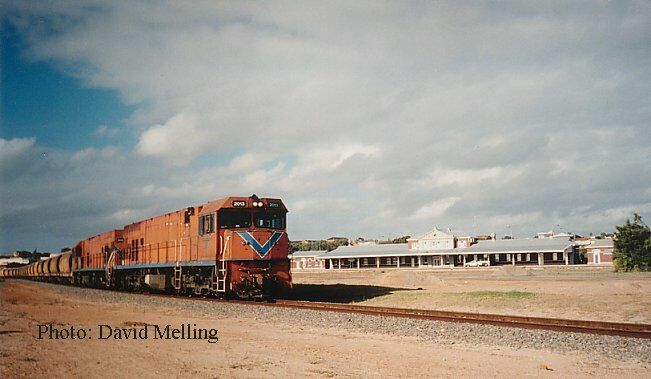 P2013&P2015 going past the Geraldton Station as it is heading for the port as it had been to Mingenew. The photo was taken on the 11 of May 2002. 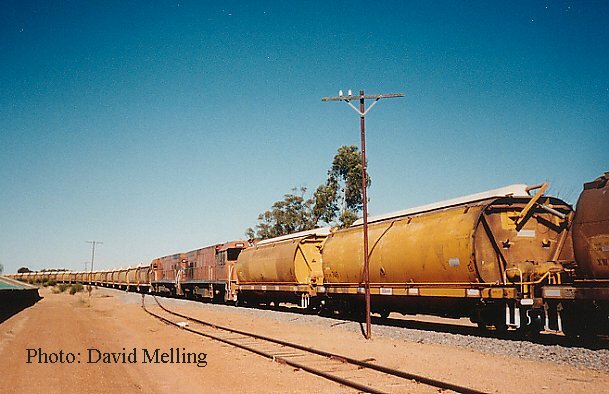 P2015&P2013 shunting at Arrino on the 19 of May 2002. DA1572 shunting the coal train at Iluka's Synthetic Rutile Plant the usual P class was having a service at Narngulu. Photo taken on the 25 of May 2002.